The ExerSaucer�‚® World Explorer Triple Funâ¢ Saucer from Evenflo is Amazing! I am a huge fan of grow with baby products, and this is one for my top favorites. This versatile toy can be used from infancy to toddlerhood. This one product will save you from buying three separate ones. 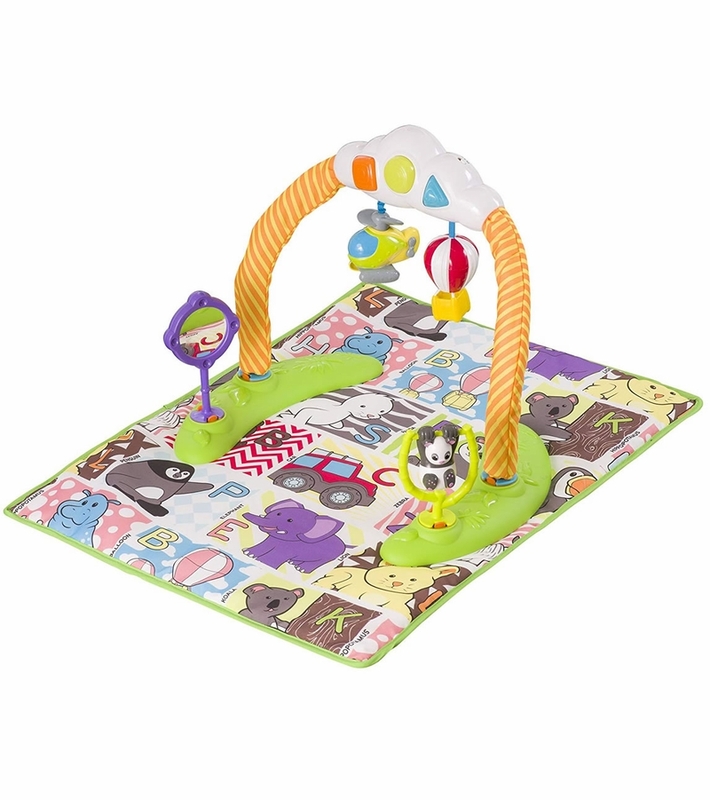 The stage one playmat is soft, padded and can be easily cleaned. 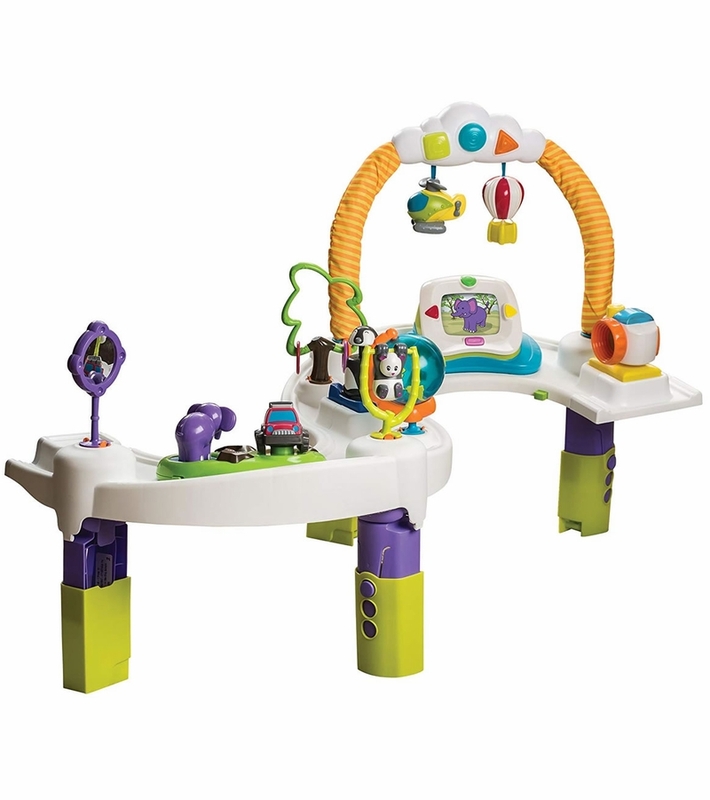 It can be used with the electronic toybar that has two pull toys. The toys light up and make sounds to engage baby. 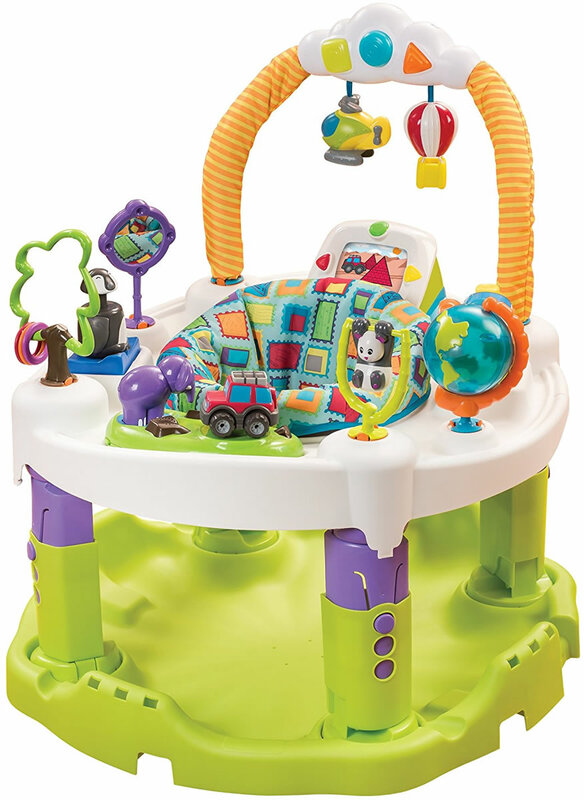 The stage two activity center has three height positions, a washable seat cover and a built in carry handle. 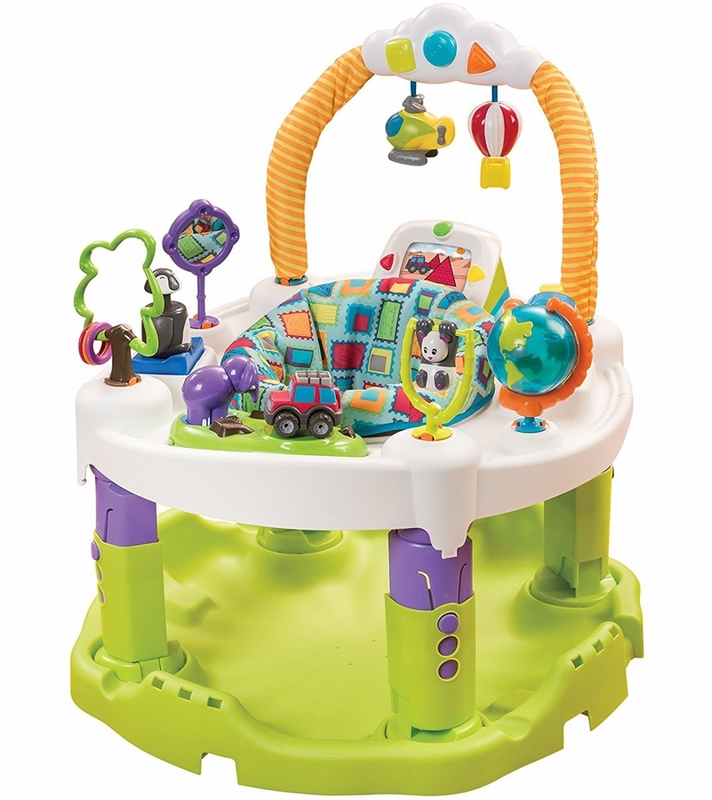 The Exersaucer folds down flat for easy storage or for traveling. Then once baby is walking on their own is it time for stage three, the activity table. 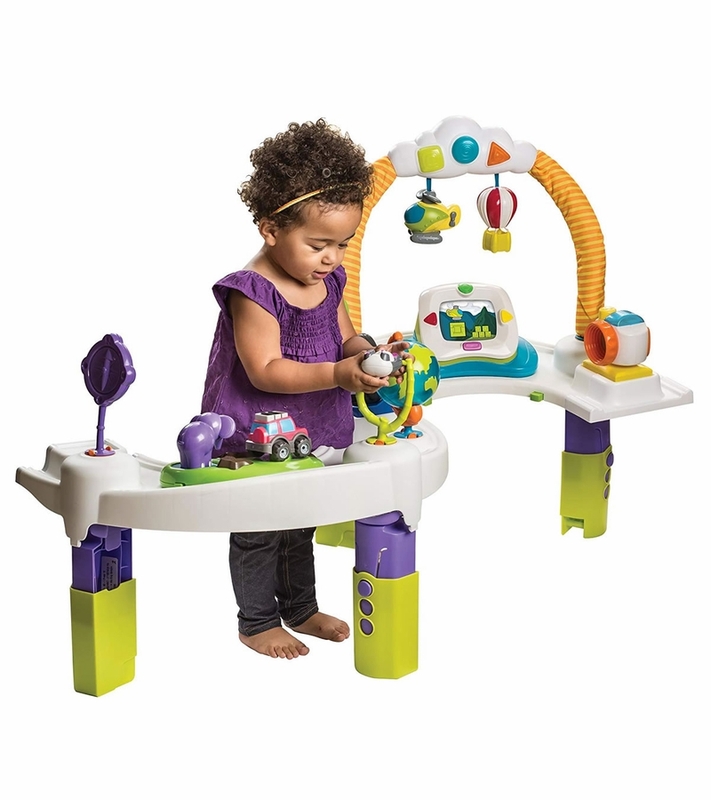 They can walking around the fun "S" shape table to play with all the fun toys.